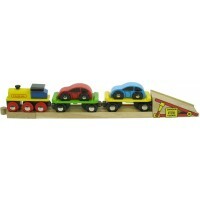 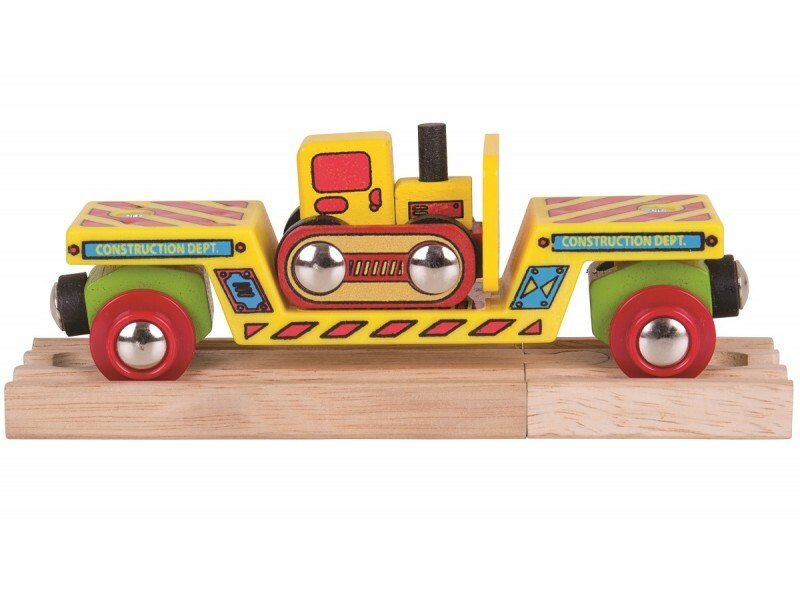 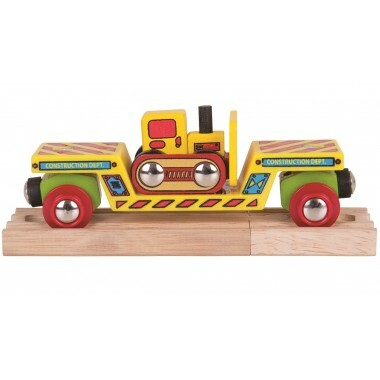 Our Bulldozer Low Loader Train Wagon is the perfect way to transport building site equipment around your wooden train set. 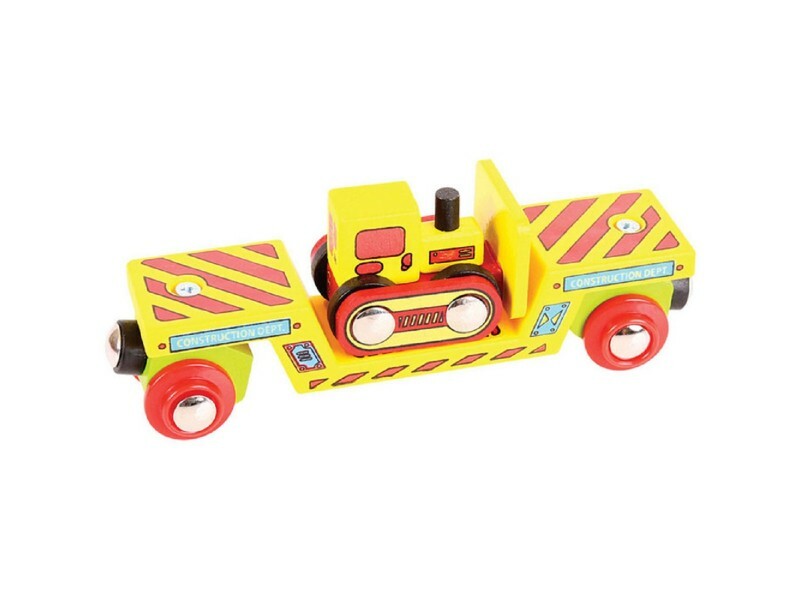 This 2 piece play set has magnetic couplings at the front and back of the low loader so that it can be attached to other trains and wagons. 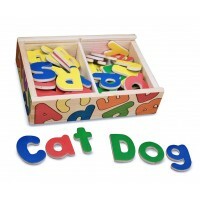 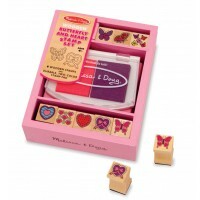 A great product,very well made.